Spring has come incredibly early to Wisconsin this year. I’m amazed at just how fast everything has budded and flowered. We’ll actually make it to Easter this year after my spring flowers have blossomed and reached their peak. Given that we’re hustling to fit everything in, I haven’t taken a lot of spring flower pictures, but here are a few showing my tulips, daffodils, and grape hyacinth (amongst others). The flowers that appeal the most this spring are the grape hyacinth, which are especially fragrant for some reason. The odor is downright overpowering at times. It must be the unusually high temperatures that we’ve been experiencing. Interestingly enough, our crocus came up, bloomed, and are already gone for the season. They look incredibly happy. 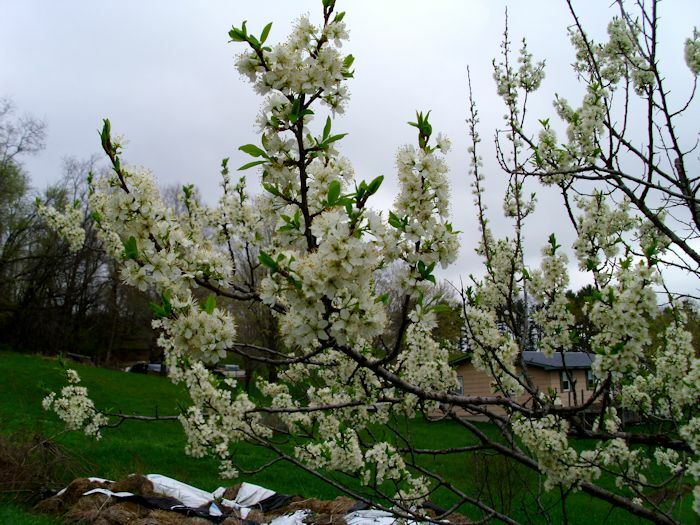 Of course, the plum trees are blooming as well. This year they’re just loaded with blooms. I’m just hoping at this point that we actually get to keep some of the fruit. Wouldn’t you know it, the trees just start blooming well and the weatherman has to ruin everything with a prediction of frost. Our weather hasn’t been quite as nice the last few days as it was earlier in the month. That’s part of the problem with an early spring—the trees start blooming early, which exposes them to a greater risk of frost. 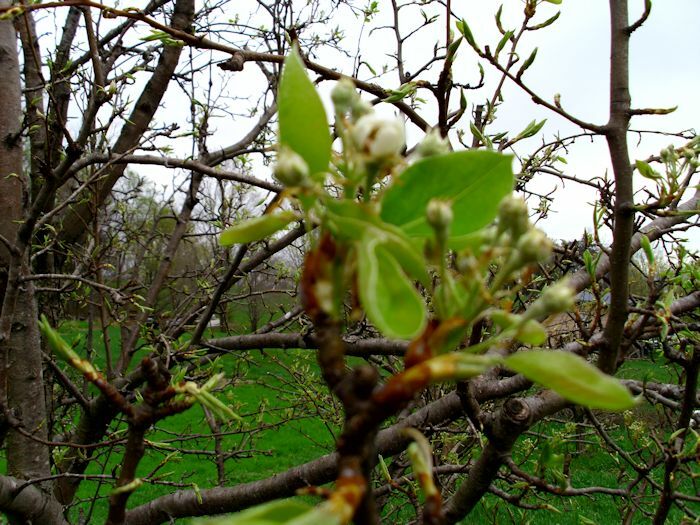 Fortunately, the pear trees are just starting to get ready to bloom. The buds have started to burst open a little, but they’re still closed enough that a light frost won’t hurt them. The apples aren’t even as far along as the pears, so there aren’t any worries with them. I really do hope my plums survive the night. A frost would probably ruin our harvest at this point. It doesn’t pay to worry. The weather will do what the weather will do whether I worry or not, so it’s best just to let things go the way they will. Every year brings it’s own special set of challenges. 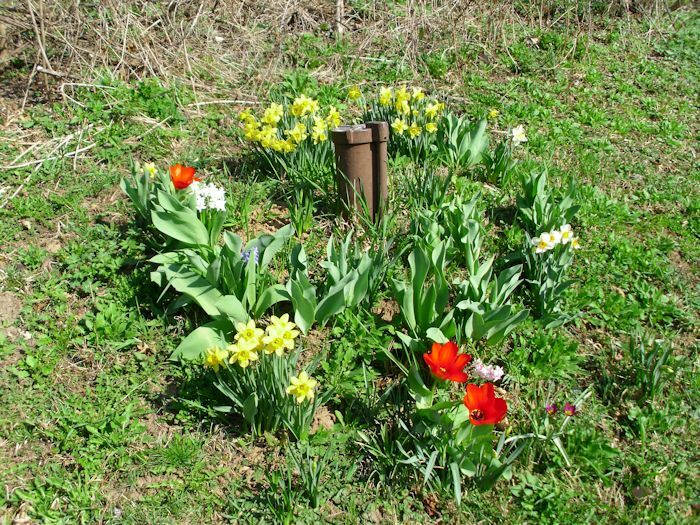 So, are you experiencing an early spring this year? If so, what sorts of challenges are you facing? 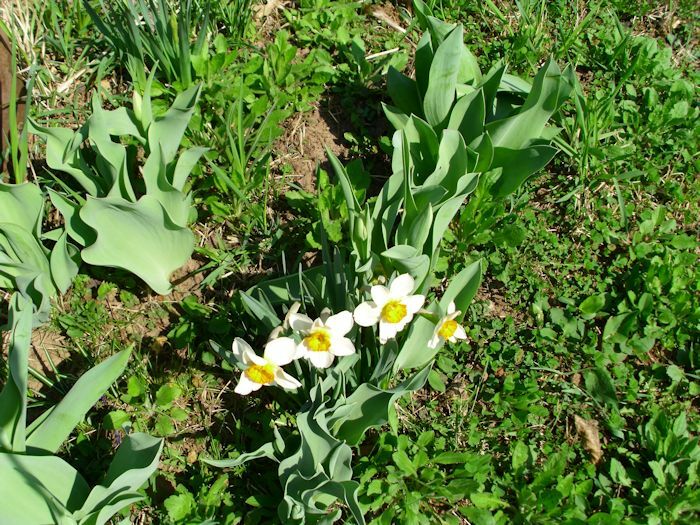 How do you plan to use the early spring to your advantage? Let me know at John@JohnMuellerBooks.com.